Giving to God is a ministry led by a handful of congregation members. The ministry originated with an idea to share positive stories of stewardship during worship. It has evolved into a greater focus on giving all we have, all we are, to God's work in the world. One of the joyous pieces of this ministry is the once-per-month Noisy Offering during which worshippers bring their change to be offered with lots of noise during a randomly chosen part of worship. 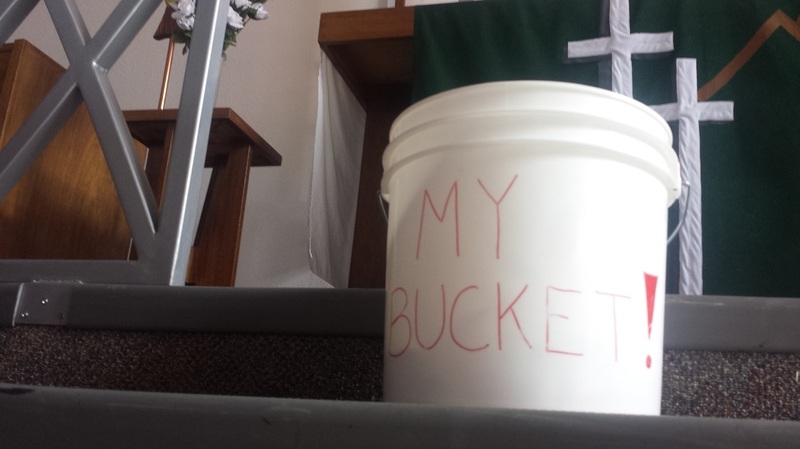 One member even shared "her bucket" to collect change. Our first month, we had 20 lbs of change! Share your change to make a change!